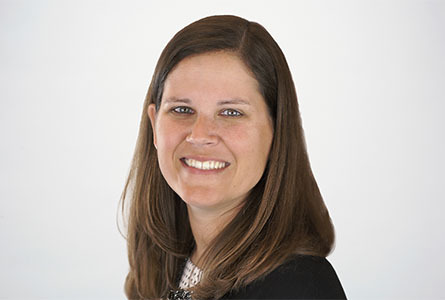 As Vice President, Divisional Operations, Kristin works closely with the Mid-Atlantic Division SVP and Regional Vice Presidents in Atlanta and Washington, DC to support the revenue management, reporting and general operations functions. She has extensive expertise contracting, pricing and audits in order to maintain compliance in supporting TMP Government LLC and is involved from the proposal stage to ensuring accurate billing and closeout. Her experience with a wide variety of contracts is especially valuable in onboarding new government and commercial clients and ensuring that everything from monthly reporting to invoicing remains compliant. Formerly Regional Vice President, Kristin was responsible for the overall quality, effectiveness, customer satisfaction and profit and loss management of TMP Government, LLC. Prior to that she was Vice President of Operations and Finance and managed more than 20 federal contracts and subcontracts for TMP Government, LLC. Kristin brings a unique background of more than 17 years in the advertising and marketing industry and twelve plus years in federal contracting. Before managing Finance and Operations, Kristin was the National Director of Client Operations at TMP Worldwide and was responsible for both online and offline standard operating procedures and agency training. She also worked with internal support groups on systems and finance teams to centralize communication throughout the agency. Prior to that, she held a variety of account service positions. Kristin holds a B.S. degree in Marketing from Santa Clara University.